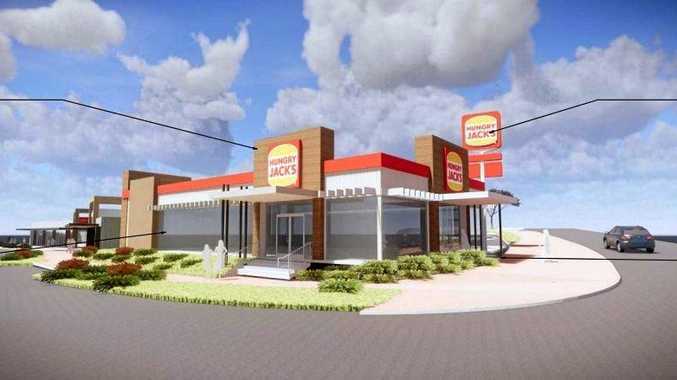 THE burgers are set to be better in Nambour now a Hungry Jacks restaurant and drive-through has the green light. A two-lane drive-thru restaurant, another unspecified food and drink tenant, and a Reject Shop will soon take up residence on the now vacant block on the corner of Mitchell St and Mill Lane. 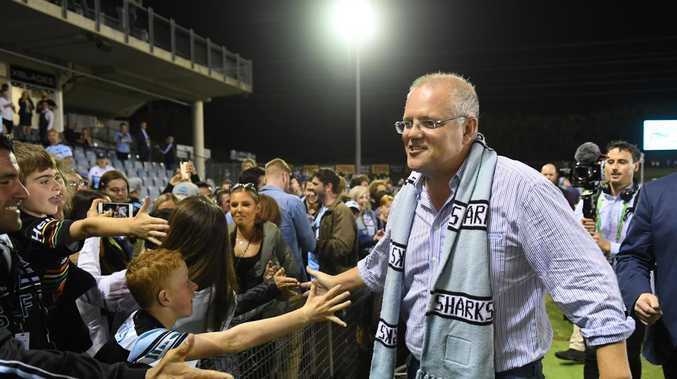 Sunshine Coast Council approved the Mill Lane development which also includes an unspecified food and drink tenant, and discount store The Reject Shop. Sunshine Coast Council approved the code-assessable material change of use application on December 10, and it did not require public consultation. The developer, H Troon, must abide by a number of conditions regarding design, carparking, anti-vandalism measures, infrastructure and establishing space on the Bury St facade for public artwork. 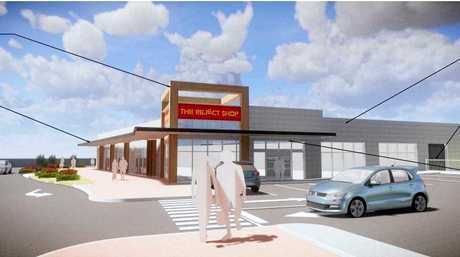 The fast food giant will become neighbour to the Coles complex and Bli Bli Medical's recently approved clinic, which will be constructed on the opposite block on the corner of Mill Lane and Bury St. The single-storey Hungry Jack's development comprises 979sq m of retail gross floor area across 30 Mill Lane and 20 Mitchell St.
Hungry Jacks will take up 287sq m on the south-west corner of the site at the intersection of Mill Lane and Mitchell St. The development must include a minimum 40 car parking spaces and 10 motorcycle or scooter spaces. The proposal, lodged by Project Urban on behalf of the developer, includes an all-movements access from Mitchell St, and left-in-left-out on Mill Lane. This would require the existing bus stop be relocated further south, and the loss of one on-street car park. A construction start date is yet to be advised. 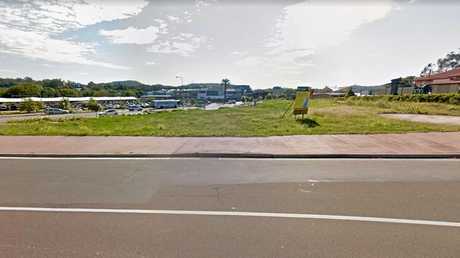 The Nambour store will become the fifth on the Coast, with restaurants at the Sunshine Plaza and in Maroochydore, Caloundra and the Glass House Mountains. The Daily has contacted Hungry Jacks for further information on construction and jobs.